A recent ruling on a trio of California state laws reinforces California’s “#Resistance” stance, abet with some limitations. “Judge John Mendez denied the [Federal] Department of Justice’s request for a preliminary injunction blocking Senate Bill 54, the state’s centerpiece sanctuary law limiting law enforcement cooperation with immigration officials, and Assembly Bill 103, which gives state officials the authority to review the conditions of detention facilities that contract with immigration authorities. One hand, employers who wish to allow immigration agents to comply with workplace compliance checks will no longer be forced to be recruited in California’s war on immigration law and stand as pawns against legitimate Federal actions. However, companies that run detention facilities contracted with the Federal government, thus giving the power to regulate such facilities out of existence and hindering legitimate lawful action of the Federal government. 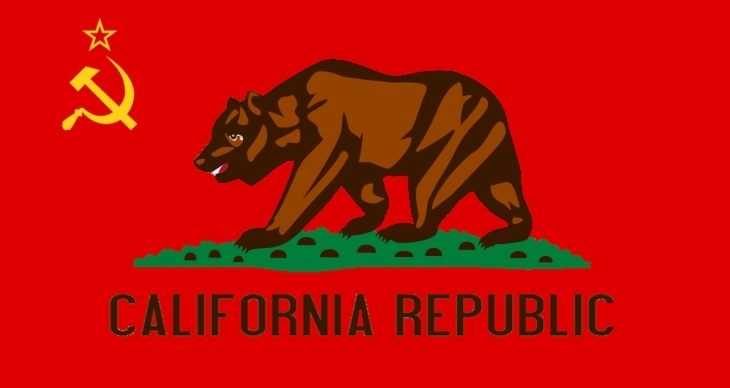 As for limiting law enforcement cooperation, the power of the Federal purse and the entangling strings there of that the Left so loved can be used against them, if Congress would so dare, and the more that California inches towards creating a California equivalent of the Virginia and Kentucky Resolutions, the easier the dare becomes to accept. This entry was posted in Progressives and tagged Social Justice. Bookmark the permalink.